The skyline is much the same over a century later. 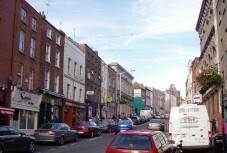 ... but the Georgian buildings to the left of the view from the corner of Shop Street still have the same look. While in Ireland, John saw himself as a painter; he does not seem to have realised his skill as a sculptor until he arrived in Manchester. The self-portrait illustrated above is now in a private collection in the USA. Special thanks to Doug Cassidy, Jo Callaghan, and the staff of the Highlanes Gallery. For more about Slane and the Cassidys, see our feature The Cassidys of Slane. 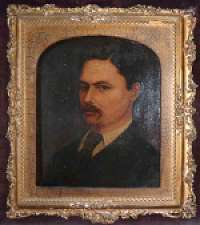 A page to celebrate the 150th Anniversary of John Cassidy's birth on 1 January 1860. 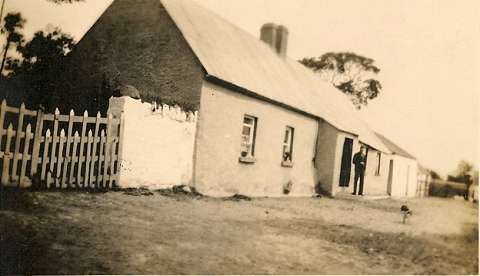 This picture from the Cassidy family collection, labelled 'the old home', is believed to show the Farmstead outside Slane, County Meath, Ireland, where John was born in the early hours of 1 January 1860. 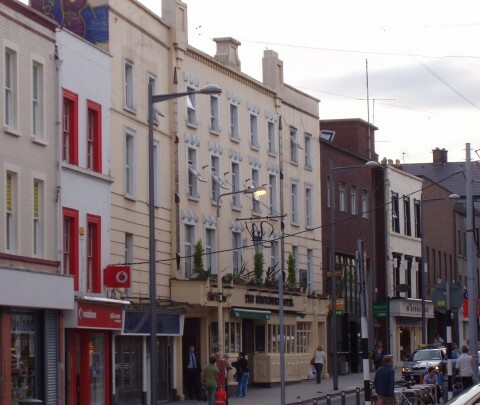 As a teenager, he served an apprenticeship as a bar assistant at the White Horse hotel in the nearby town of Drogheda in County Louth. 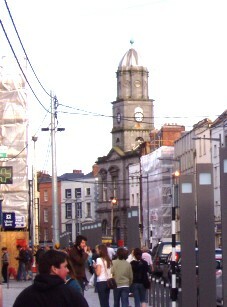 The hotel is still in operation in the town centre, although renamed the Westcourt Hotel: it is seen in the centre of the picture above. 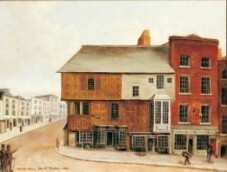 John spent much of his free time sketching and painting, and attended classes with artist Laurence Fagan of Trinity Street, before securing the patronage of a local merchant, Mr R.B. 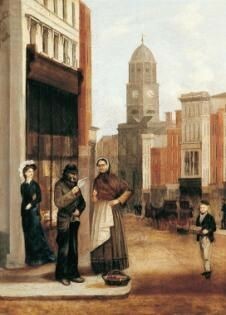 Davis, who bought some of his paintings, two of which (see left column) were later presented to the town of Drogheda and are now in the Highlanes Gallery there, which also has several works by Laurence Fagan. It was with very much pleasure the Committee awarded this prize for a panel very pleasingly rendered in low relief. The progress which this work marks is highly creditable, considering the short time the Modelling Class has been established. The following year, 1885, he won a silver medal and various other prizes at the National Competition held at South Kensington, by 1887 he was working as an Assistant Teacher at the School, and the rest is history. This cabinet photograph from the family collection is the earliest we have, and was probably taken in Ireland. 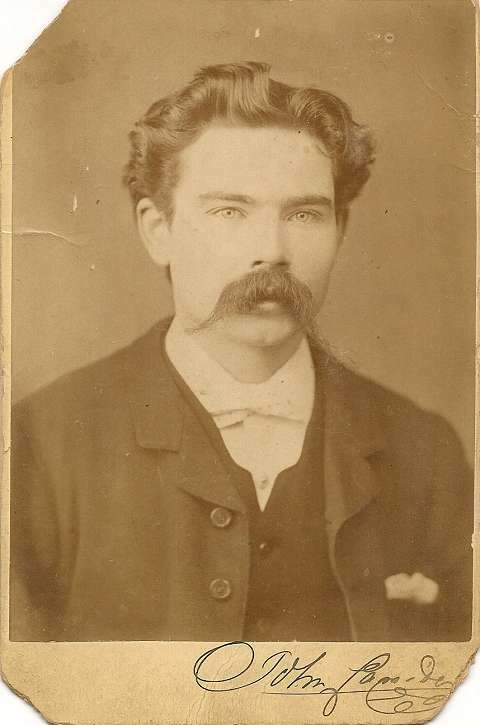 The moustache was John's trademark for the rest of his life.